Our professional, courteous, and reliable team is what keeps clients coming back to Briggs for all their domestic electrical concerns. Briggs is a domestic electrician in Melbourne helping you at home whenever you need it.Are you looking to replace your halogen lights with LED? Perhaps you’ve had your garden landscaped and want to devise an outdoor lighting solution? From odd jobs around the home to wiring, oven replacement, and TV antenna installation, you can rely on exceptional service from Briggs. Smoke and sparks are never a good sign when using an appliance in a power socket. We’ll replace and/or repair faulty sockets to prevent the risk of an electrical fire. Is your home vulnerable to break-ins? Protect your home and your family with an alarm system. We can install sensors, keypads, CCTV cameras, and more. Phone and data cabling needn’t be a headache! Do yourself a favour and call the pros. Ensure safety in your home from faulty appliances with a safety switch that is working as it should! Increase the safety at your property with sensors and lighting – one of the most effective tactics of home defence. We’ll install and maintain various data points including phone ports and TV sockets. For any type of electrical work, always choose a licensed electrician! If it’s got a wire, Briggs can help. When you need dependable electrical services in your home, there’s only one name to remember: Briggs. 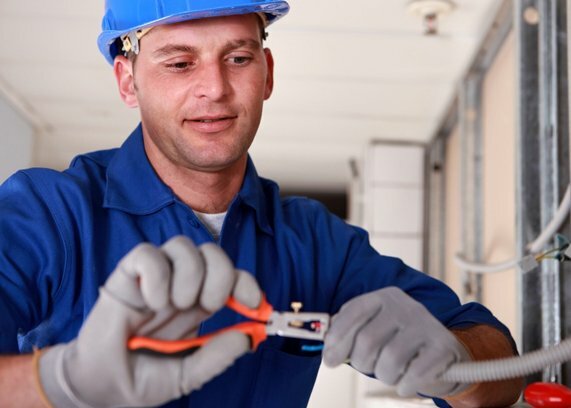 Our experienced team is ready to tackle your electrical problems, including new wiring installation, safety switch repairs, and all things lighting. Remember, most DIY electrical work is illegal in Victoria, so it’s critical you choose only a licensed and qualified pro to ensure safety for you, your family, and your home. There’s a lot of information out there about digital, LED, and HDTV antennas – it can be quite overwhelming! Let a Briggs electrician help you out. We’ll recommend the antenna that suits your needs and install it safely. When your antenna is not installed properly, you’ll likely suffer from poor reception, which will affect the quality of your television. Above all, unsatisfactory installation can pose a safety risk to you, your family, and your home. Are you ready to create your home theatre? Lucky you! Setting up your home theatre can be tricky, though… so why wouldn’t you leave it to the experts? Let’s not beat around the bush – home security is crucial! There are a lot of considerations when it comes to keeping your home, property and family safe: lighting, locks, accessibility… and of course, home security systems. Talk to the home security experts total peace-of-mind when you’re away from home. From home security sensors, to alarms, to CCTV systems, you can trust the team at Briggs Electrical to keep your family and property safe while you’re out.